Dirk HR Spennemann (ed. ), Historic Images of the German Marshall Islands-- The German postal steamer Oceana making steam at the dock of Jabwor, Jaluit Atoll. The German postal steamer Oceana making steam at the dock of Jabwor, Jaluit Atoll. 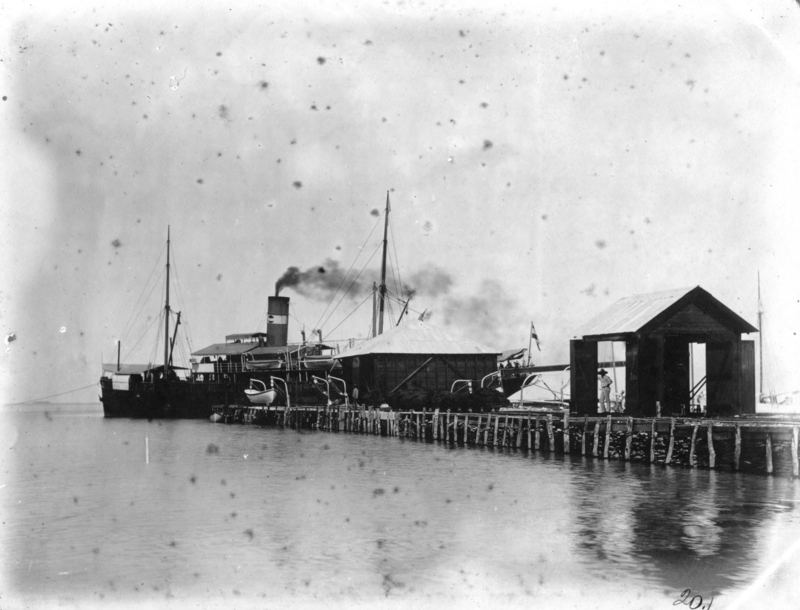 The German postal steamer Oceana making steam at the dock of Jabwor, Jaluit Atoll. The photo was taken about 1903. Note the goods shed on the dock.